Meetings are held at the The Foredown Tower on the 3rd Thursday of each month. Free parking is available on site. Guests are welcome to all evenings at a cost of £5 (includes refreshments) and should they then wish to join membership costs £20 per 6 months. Please don't forget that meetings will now take place at The Foredown Tower (not the Emmaus Community Café). 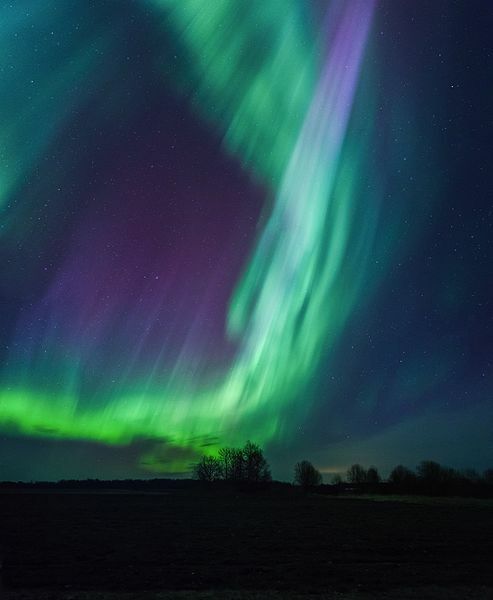 The Northern (or Southern) Lights have for millennia held a fascination to anyone who has seen their colourful whispy curtains draped across the night sky. As well as looking at aurorae on earth, Professor Aylward discusses what we now know about aurorae on other planets in this talk. If clear skies are forecast please bring your telescope and there will be some observing after the talk. Lillian Hobbs - Eisa Esinga, the planetarium in the Bedroom. Prof. Iacopo Vivarelli - Dark Matter and the Large Hadron Collider (LHC).